* Total number of reviews and star-ratings are based on data collected during the time period Superior Heating & A/C Inc. has been using the ReviewBuzz system and may not directly match the data found on each public review site. Superior heating and air has taken care of our business and home for over seventeen years and we have always been treated like we were their only client. 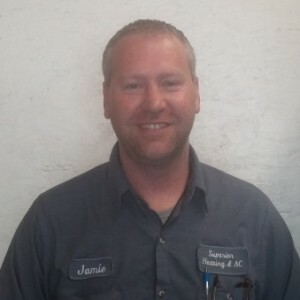 Jamie has been our service Pro most of that time, you will not find a more helpful or knowledgeable man. Superior has always offered fair, honest and dependable service and today was no different! Thanks Jamie!! I have had Jamie and Superior Heating do my hvac work for 10 years and never had a bad experience. Totally recommend!!! Jamie from Superior Heating & A/C inc. was awesome! We have a **************** system, which Superior installed when our old system failed, and Jamie knows everything about it. He has done all our maintenance and the few issues we've had have been quickly remedied. Jamie was very professional and quick. We would recommend him to all of our friends and family for all of their heating/AC needs. Jamie was Awesome!!! Our experiences with Superior have always been very positive. Jamie B. went above and beyond expectations while he was at our home. He was very courteous and professional. We will continue to use their services and will recommend them to others. I would highly recommend this company for any heating & A/C needs! Our house is two zoned (needing two units). In 2006 we purchased two new Carrier units from Superior Heating & A/C Inc. Their sales man & instillation people were very professional and courteous. The units are now out of warranty (ten years) & to date, we have only had two times that someone has had to come out & fix a problem, both were minor. Whenever we have called them they have always come out right away, one time during an ice storm! They are very honest & never recommend something you donâ€™t need done. Since the initial instillation we have had two different service providers for our units. Jim was the first & after he retired John took over. Both were and are highly professional & courteous. Hats off to John he is a wonderful service provider! Great job Superior Heating!! This is the best place ever, I've been a LOYAL customer for over a years now. Well this week they went above and beyond to make sure this pregnant lady didn't have to suffer, for that they are my heros!! Called Monday morning they were here that afternoon to check and by Wednesday all was fixed. Can't thank you enough both office personal and crew, your truly the best!! Quick arrival, quick repair, answered all questions. My mother has used Superior for many years. They replaced her heating/air about 3 years ago. That was a very positive experience. All of the team who were there were courteous and knowledgeable about what they were doing. We have had no problems at all and feel very good about the system we put in. Our regular service technician is absolutely wonderful. John always explains well and gives us good information when we ask questions. There's been no problems, only the normal service calls but John is always there when supposed to be and takes care of the service in the most courteous manner. He's a very smart young man and we trust him and the company totally. Even the young ladies in the office are very helpful when I call them to schedule the service. Thank you Superior for excellent service! I purchased my first unit from Superior 18 years ago and my most recent 2 years ago. They are a very professional, knowledgeable and dedicated company. I have the service agreement which does a yearly spring and fall check of the system. Several times they have caught parts that were in process of failing and thankfully they replaced them before they did fail. Their technicians are highly trained and repair/fix problem the first time. Never having to come back for a do-over. John takes excellent care of us! We were very pleased with the efficient and excellent service we received. They are quick to come when we need them and have always repaired our heat pumps to tip top working order. Superior Heating and A/C consistently delivers high quality customer service from the initial call to the service tech visiting to diagnose and correct the issue. They work with you to schedule a time that is convenient, take the time to explain what the issue is, how it would be fixed, and any follow up items that would be done. And all in manner that is easily understood. Overall, Superior is an excellent business that treats their customers extremely well. Jamie at Superior Heating & A/C is top notch! 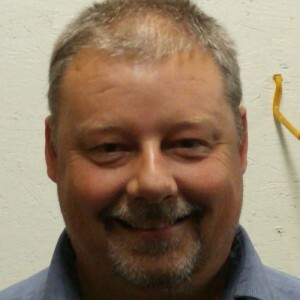 He is the go-to guy when it comes to any issues with our home or business Heating/AC units. We highly recommend him and the whole team at Superior. Our experience with Superior Heating and A/C has always been great, and today's service was again "superior." Our A/C went out yesterday--not a good thing to have happen in 90 weather. Within 30 minutes of our call, Brian at Superior Heating and A/C showed up and diagnosed the problem. Even with having to locate the right part, Brian had the A/C up and running in less than 24 hours. We couldn't ask for better service! Customer service is always a top priority at Superior Heating & A/C Inc.. Our BBB Membership A+ rating is like a badge of honor as we continuously strive to provide the best experience for our clients.